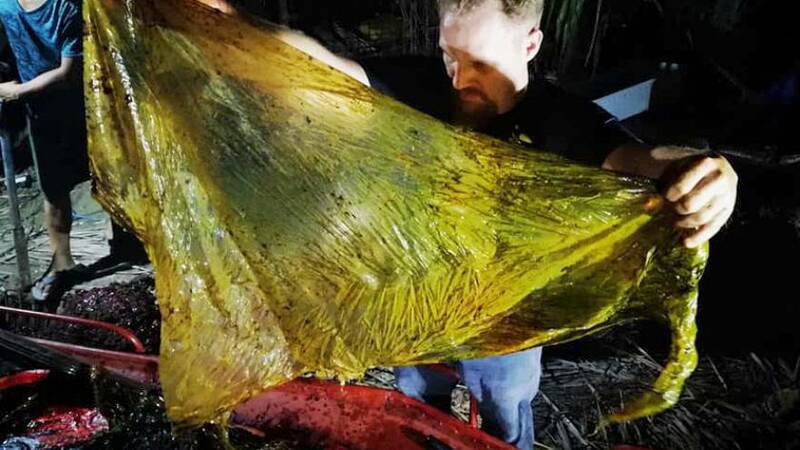 Courtesy of D' Bone Collector Museum Inc.
"I was not prepared for the amount of plastic," Darrell Blatchley, president and founder of theD' Bone Collector Museum in Davao City, told NBC News in a statement. 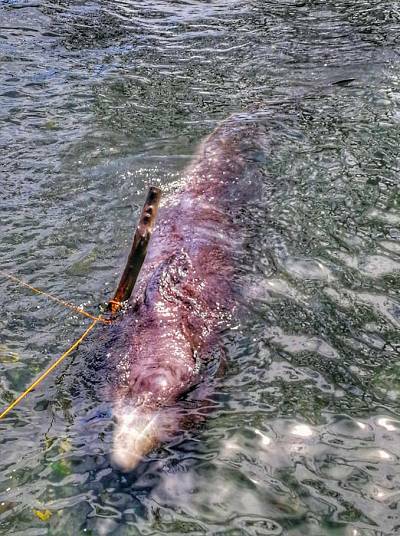 The male Cuvier beaked whale died from ingesting plastic waste.Courtesy of D\' Bone Collector Museum Inc.
"It was so bad [that] the plastic was beginning calcification," Blatchley said of the process in which calcium builds up in the body and causes tissue to harden. While examining the whale during a necropsy, Blatchley said, the animal appeared to have died from emaciation and dehydration — with the plastic hindering its ability to eat or drink. The whale had also been vomiting blood before it died, he added. Images of the whale have gone viral worldwide, as more and more people are calling for bans on single-use plastic, often focusing on the effects of plastic on the ocean.